New Mills Marina on the Peak Forest canal built in the late 18th Century overlooks Derbyshire's dramatic High Peaks with its rolling countryside, fast flowing rivers and rocky torrs. 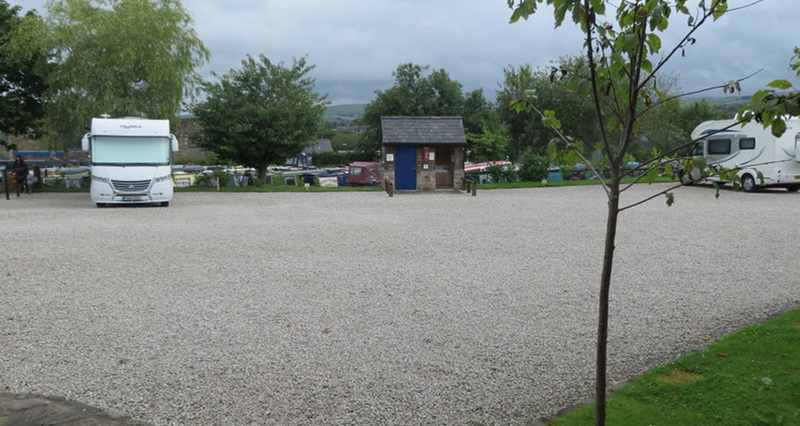 Inside the marina is a secure, all weather Caravan Club CL site open all year round with five hard standing pitches complete with electric hook up and close to a fresh water point and Elsan disposal unit. Camper vans and Mobile Homes welcome, but always check conditions before setting off. A new, beautifully equipped toilet and shower block providing constant hot water is a few steps away. 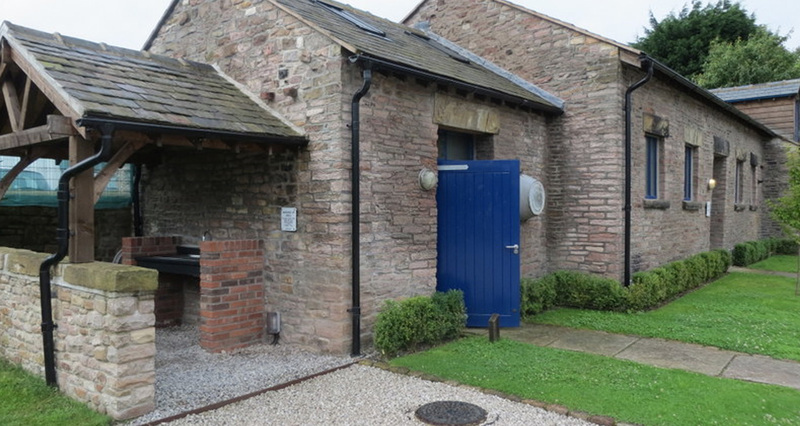 This is situated within a renovated stable block built around 1830 to provide feed and stabling for the horses that towed barges of cotton goods from the factories of New Mills as well as limestone from the nearby quarries to Manchester for UK distribution. Much, however, was transported further to Liverpool for export to the British Empire and other overseas markets. Caravanners will soon discover that for each fascinating 18th and 19th Century link to the Industrial Revolution, New Mills Marina CL site also offers them the best in 21st Century technology, including free wi-fi, key code operated electric security gates and motion sensor operated internal lighting. 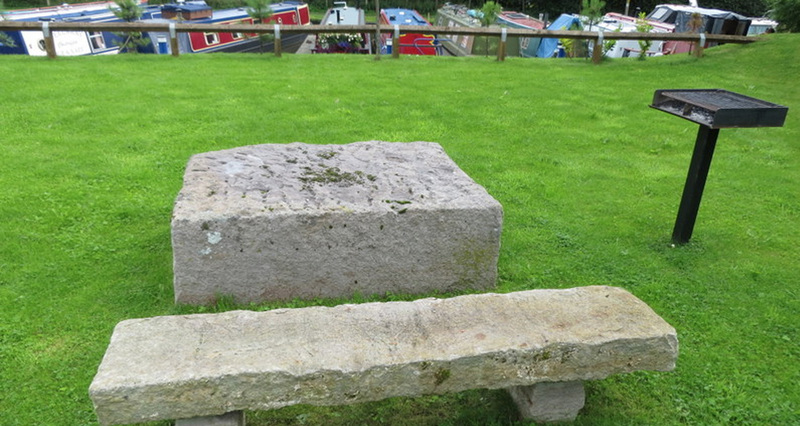 Couple this with pleasant picnic seating and barbecues free for all to use and we expect that our newest Caravan Club CL site will quickly become as popular as others we operate at Grove Lock Marina near Leighton Buzzard and Kings Orchard Marina near Lichfield. Full details on these can be found by clicking the links to those marinas. 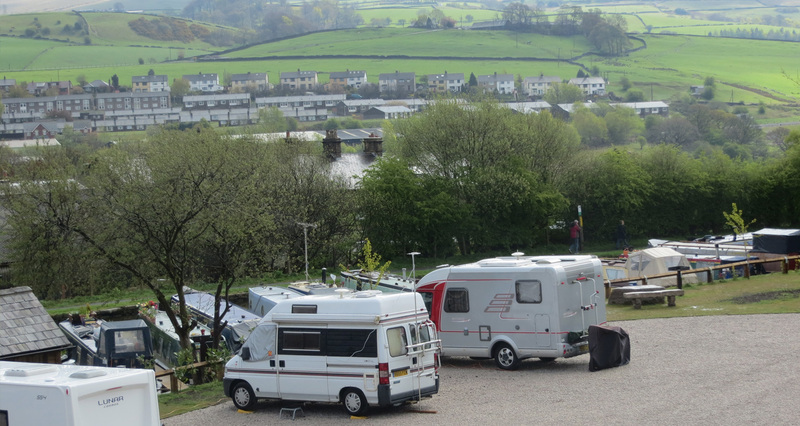 Caravan and camper van owners often select sites to visit for the places of interest nearby and the small market town of New Mills certainly has more than its fair share of these. Within easy walking distance is the famous Millenium Walkway, lying almost 100m below the town (linking New Mills, the Torrs and Riverside Park), the Sett Valley Trail, an easy walk along a disused railway from New Mills to Hayfield, Goytside Local Nature Reserve, another great but easy walk that can be joined just opposite New Mills Marina, the Torrs Hydro, a fascinating Archimedian Screw installation that provides some of New Mills' electricity, while further afield Chatsworth House, Crich Tramway Village, the caverns at Treak and Poole and the magnificent Dovedale Ravine at Ashbourne, to name just a few are all worth a visit. The marina office contains leaflets containing more information on these and many other local attractions. For further information on availability and prices call our Caretakers on 01663 741310. Year round opening. Camper vans and Mobile Homes welcome. Please click our Location page for directions.